Drew McIntyre defeated Seth Rollins in the main event of the latest RAW. If we are taking a look at only the full-time workers on WWE RAW, it is easy to see that Drew McIntyre is the top heel of the red brand. The Scottish Psychopath has been decimating every WWE Superstar on his way. Last week on RAW, McIntyre brutally defeated Dean Ambrose and also destroyed Roman Reigns. On the latest episode of Raw, McIntyre defeated Seth Rollins, with a little assist from the Universal Champion Brock Lesnar. However, WWE does things for a reason. While booking McIntyre to look strong, WWE would have probably calculated what they would do with the Scottish Psychopath in the coming months. In this list, we will take a look at a few reasons why Vince McMahon is booking Drew McIntyre as a monster. WWE is still keen in pushing Roman Reigns. 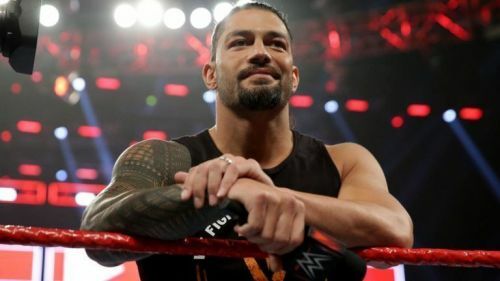 It is no secret that Vince McMahon is behind Roman Reigns even after the Big Dog has to go through a plethora of hostile reactions from the WWE Universe. On the latest episode of RAW, McIntyre openly challenged Roman Reigns for a clash at WrestleMania 35. The last guy to challenge Reigns at the Showcase of Immortal was The Undertaker, and we all saw how that went. The Undertaker lost to the Big Dog - triggering the WWE Universe to shower Reigns with a hostile reaction. Similarly, WWE may want McIntyre to put Reigns over at WrestleMania 35. McIntyre defeated Ambrose without breaking any sweat. McIntyre managed to beat Seth Rollins. However, to complete the set, McIntyre has to defeat Roman Reigns. However, WWE may probably turn the tables and have Reigns go over the Scottish Psychopath in order to make the Big Dog look strong.